The Spanish Civil War was one of the most devastating wars to affect a European country during the twentieth century. It removed a monarchy, turned region on region and created a dictator. For a while the conflict in Spain became the rallying point for idealists and fighters from all over Europe as the emerging Communist versus Fascist hostilities were fought out in brutal and bloodthirsty ways. Today, Spain is still grappling with the history of the war and its outcome of a fascist government led by General Franco. Many of the victims of the time remain hidden, ignored or simply not discussed, with laws still governing what can be broached by politics and people concerning that time. Outside Spain the civil war was quickly usurped by the more far-reaching spread of Nazism and the Second World Wofar. The division of Europe following on from that conflict and the daily reality of the Cold War left the Spanish conflict to disappear from many European narratives, with only those who had suffered holding the memories close. That has meant that many Europeans would now be hard pushed to explain the causes, stages or key players of Spain’s terrible war. 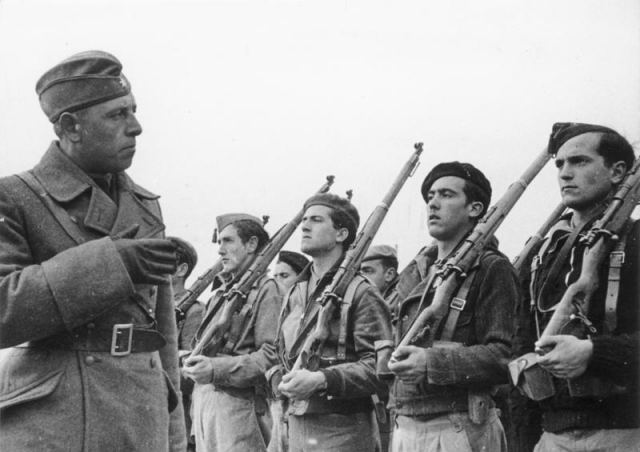 In this podcast, available to HA Members, Dr Peter Anderson of the University of Leeds looks at the origins of the Spanish Civil War, introducing us to the build-up and political tensions as well as the opening shots. This is a timely reminder of a terrible conflict – one that is still very close to the surface of modern-day Spain and its political tensions.